Nothing adds more sophisticated flirt to your wardrobe than a pretty, flowing wrap skirt. It is a versatile pattern as it can serve any season by simply choosing the right fabric. Simple versions of this skirt are notorious for coming undone at the most inopportune times. This may leave you tempted to pass on such a design all together. However, with a few careful considerations, it’s possible to make your own beautiful wrap skirt and avoid wardrobe malfunctions! 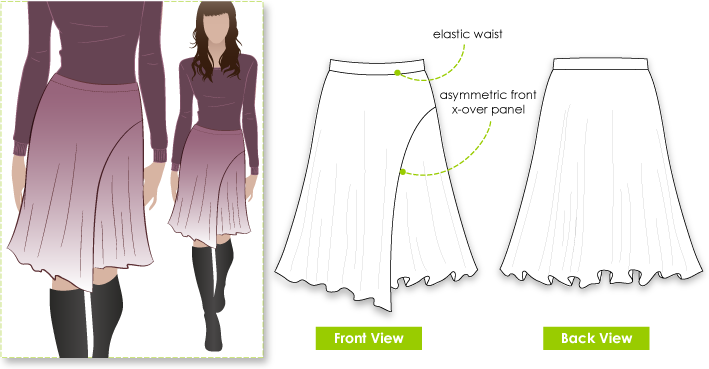 For example, choose a wrap skirt pattern that has more than just a tie closure. Studs, hook and eye or even sewing in place with a hidden zipper are all good options. Because of their simplicity, wrap skirts are wonderful on any figure. They are also especially convenient as maternity wear – simply add extra button closures to create room to expand. This works just as well for those of us who are in the process of losing weight. A button can be added every time the skirt needs to be taken in doubly serving as an inspiring little tally of your progress! If the pattern is structured with straight lines then opt for a stiffer fabric like broadcloth or even lightweight wool – best for autumn and winter. If the skirt is designed with gathers or ruching then opt for a light and flowing fabric like silk or chiffon – best for spring and summer. Fabric with prints work wonderfully for wrap skirts. Even geometric prints work well with the asymmetrical designs. 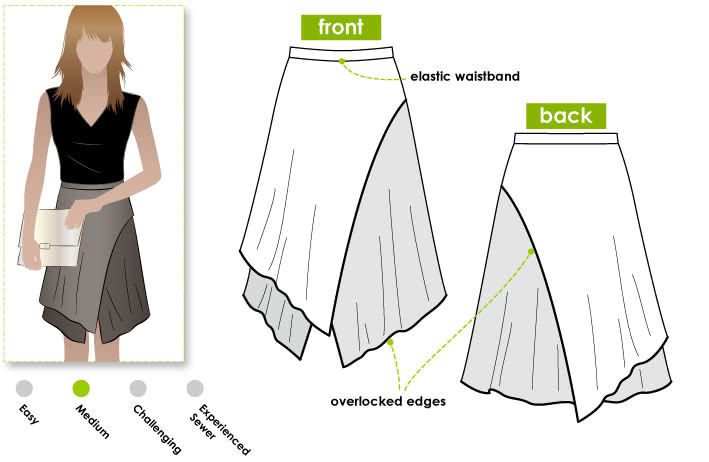 Most wrap skirt patterns are meant to be simple and understated so avoid too many embellishments. However, simple bows and small amounts of embroidery on solid fabrics will work wonderfully to add a little detail. 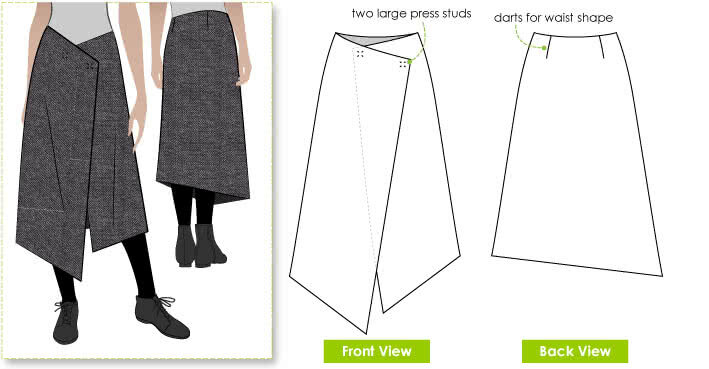 Now that we’ve done our homework, all that’s left to do is get cracking on a stylish handmade wrap skirt to add your wardrobe!